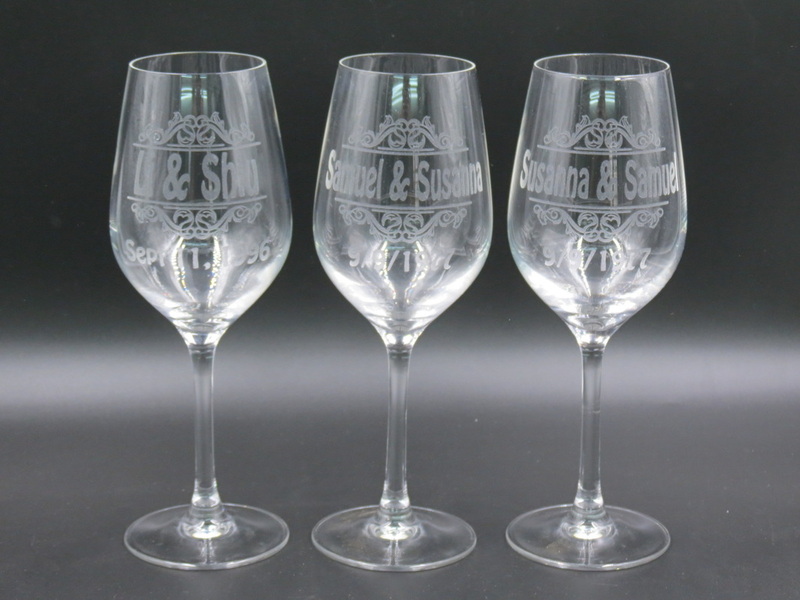 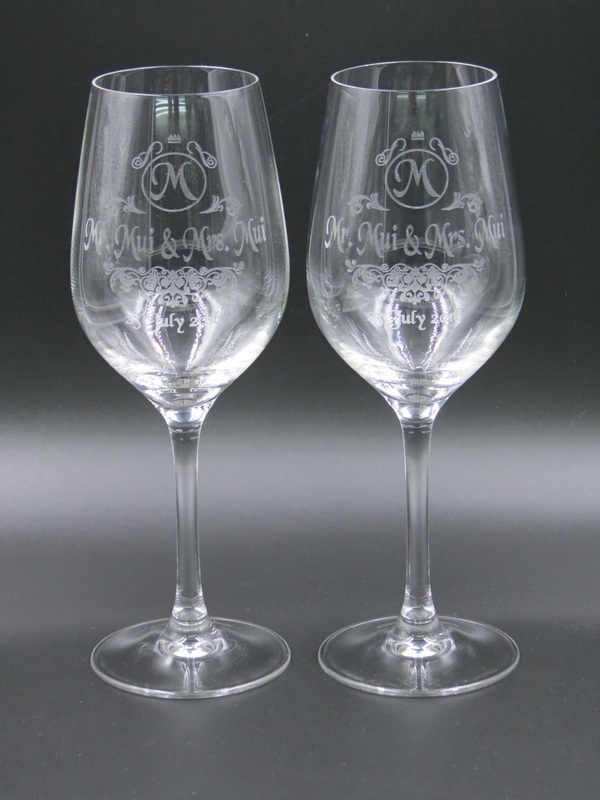 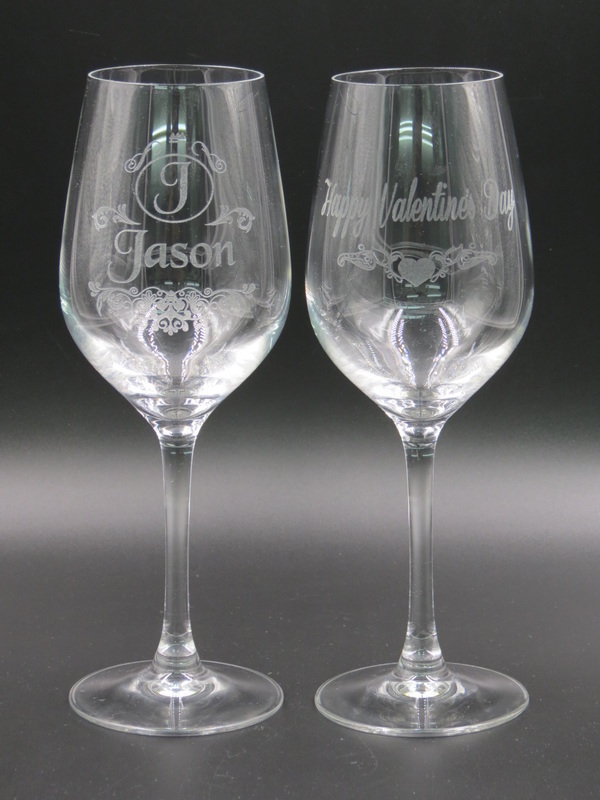 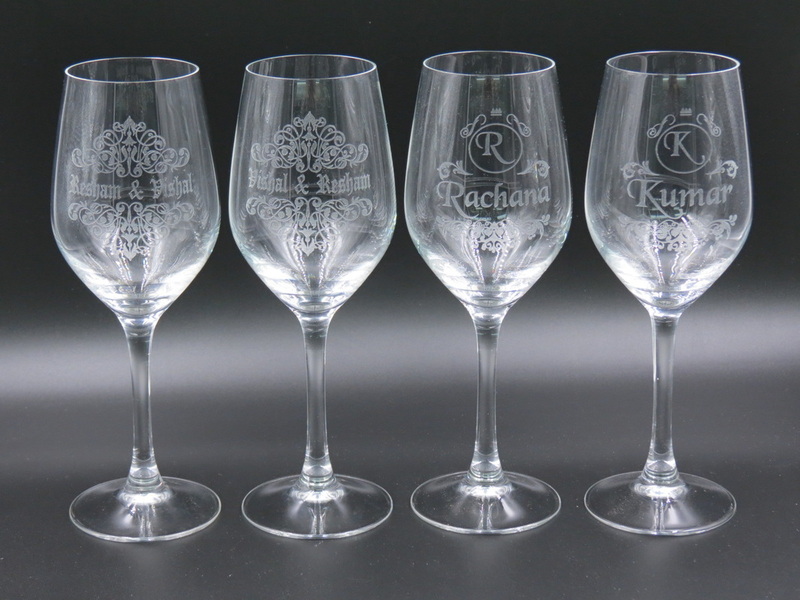 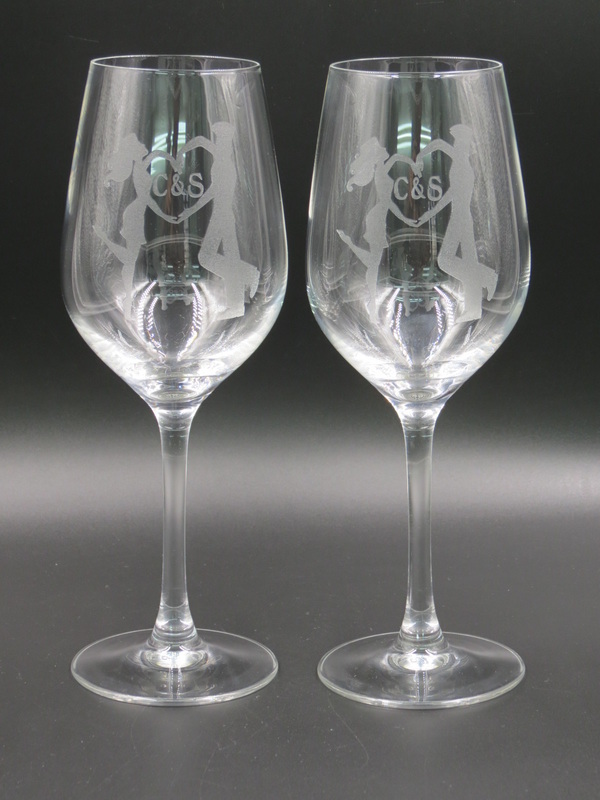 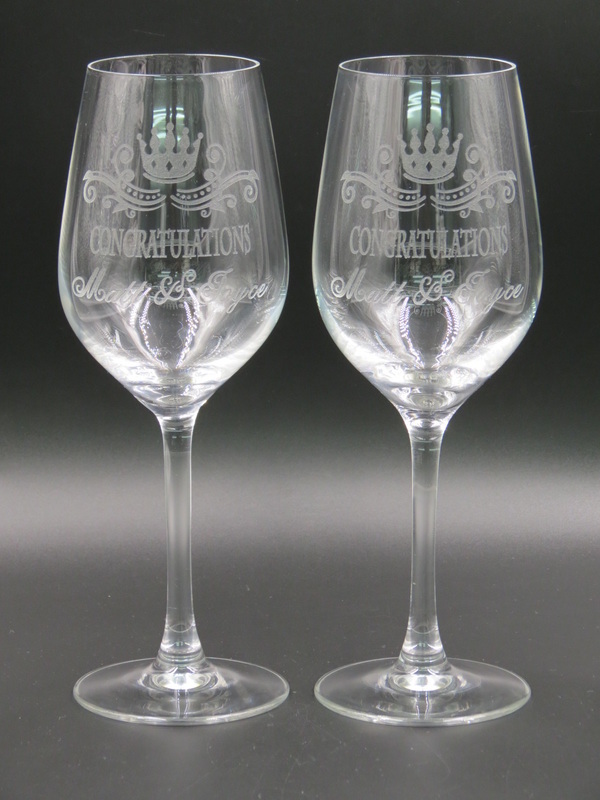 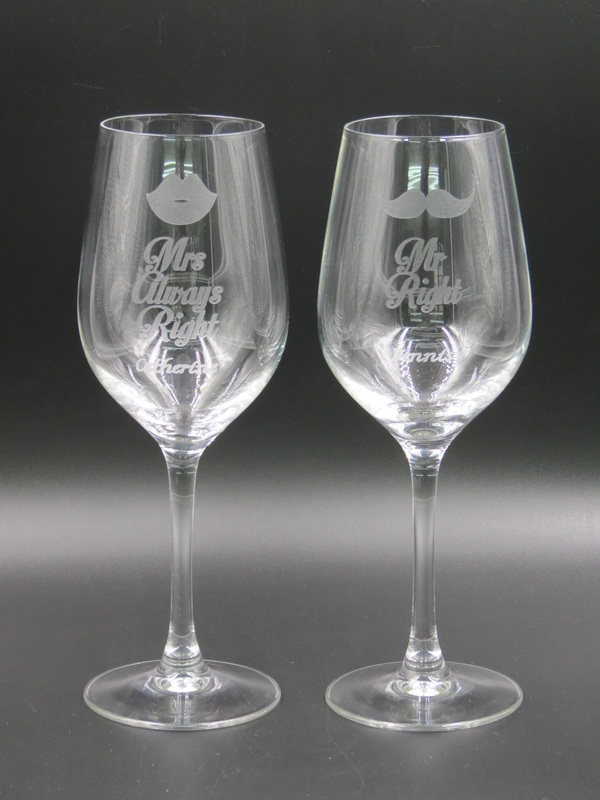 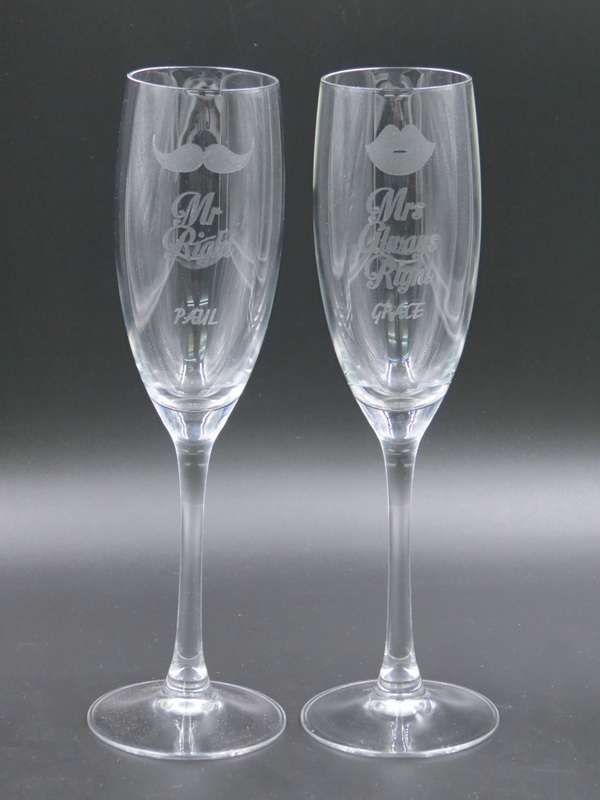 Custom Glass is a personalized wine glasses engraved with anything that you desire! 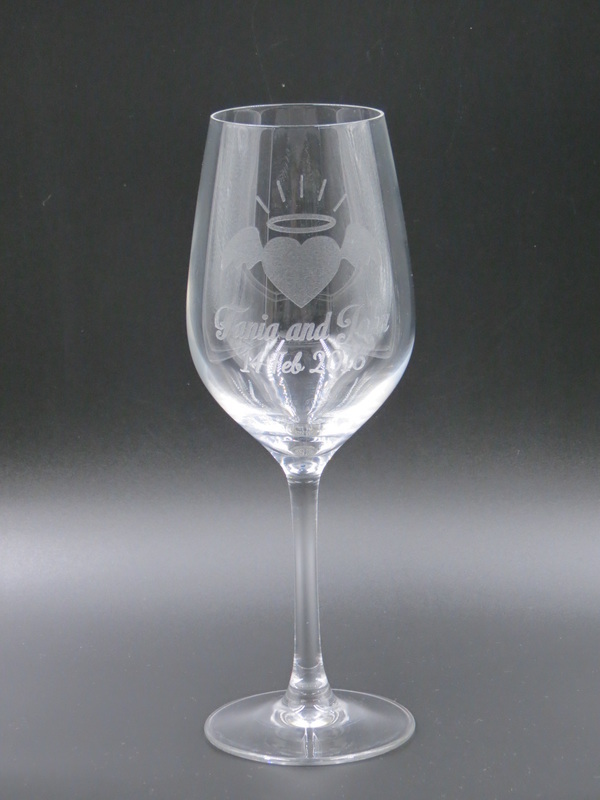 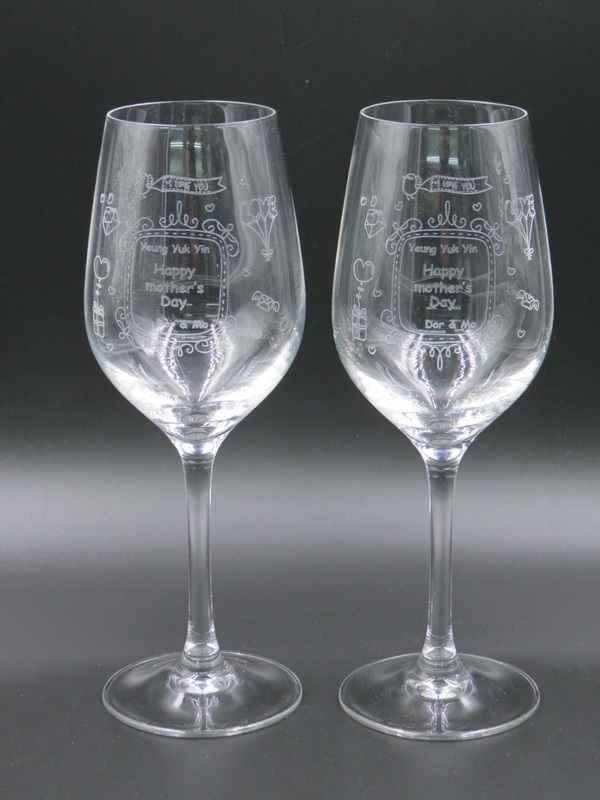 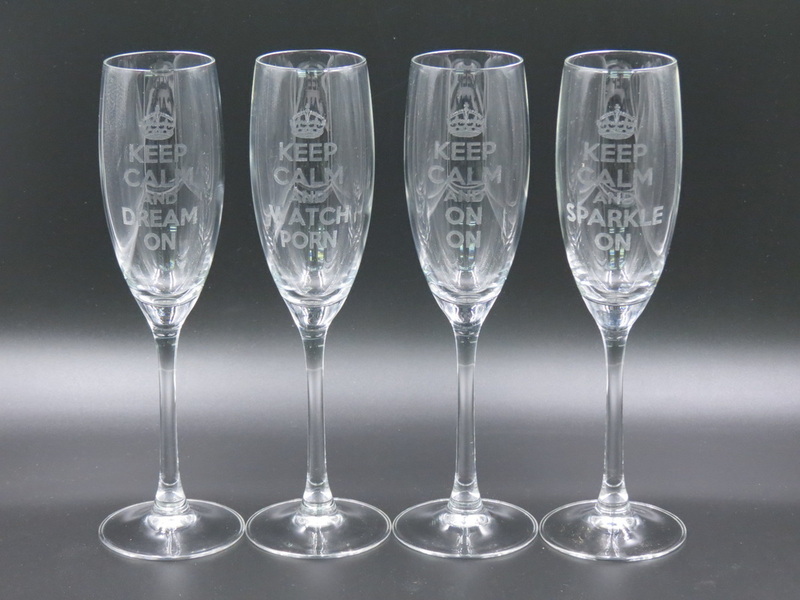 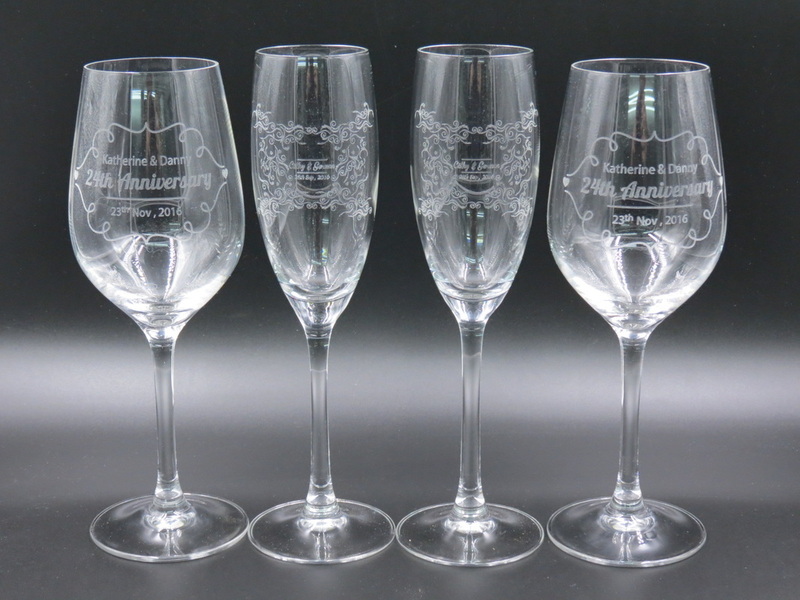 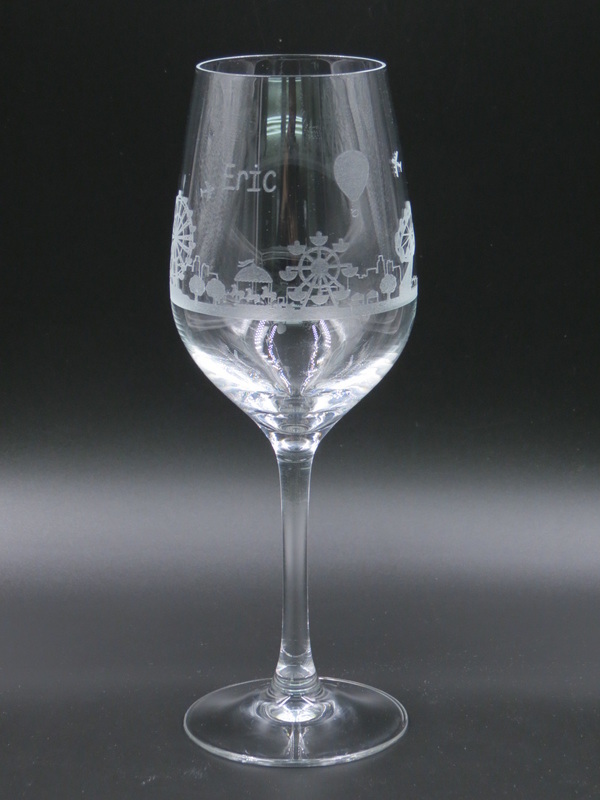 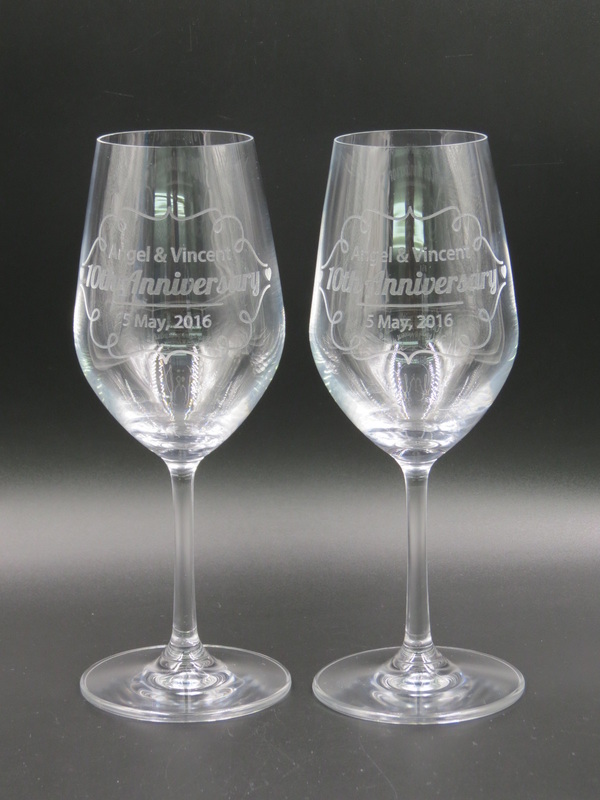 We offer wine glasses etched with plenty of personalized graph template you choose. 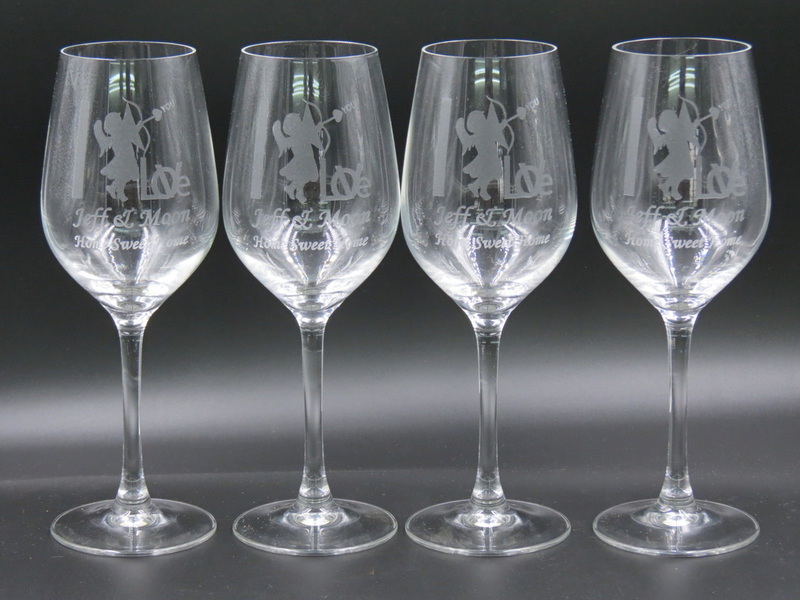 There are no setup charges and no minimum quantities! 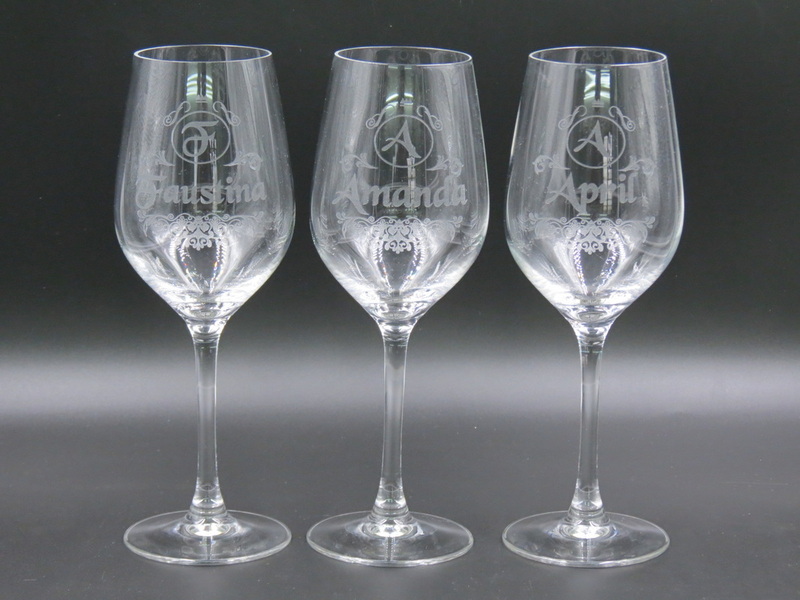 We offer several different types of wine glasses. 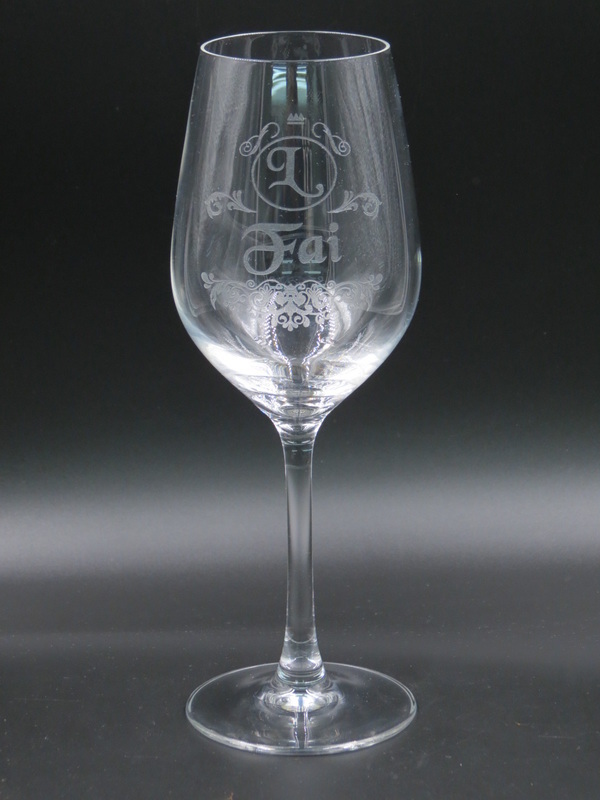 All glassware is full size and restaurant quality. 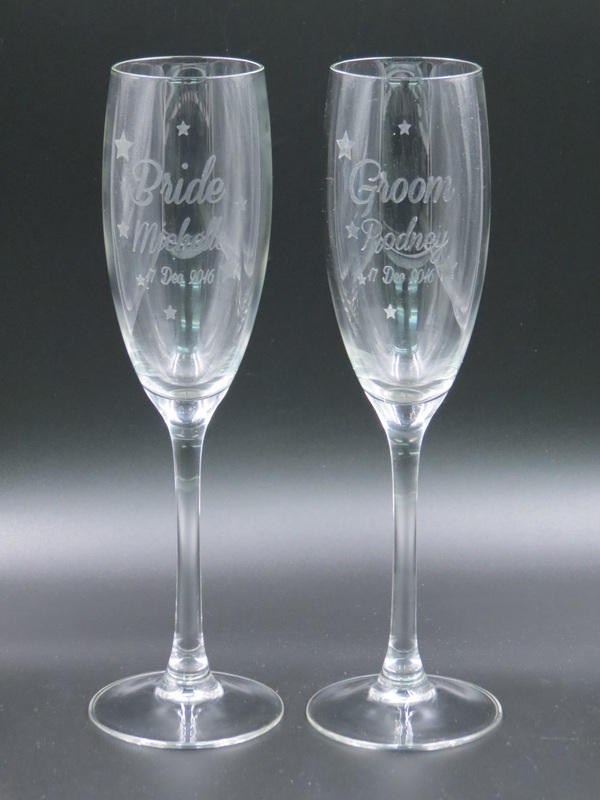 Crafted in lead crystal by a process renowned for its consistent accuracy in glass making, they are unsurpassed thinness and lightness. 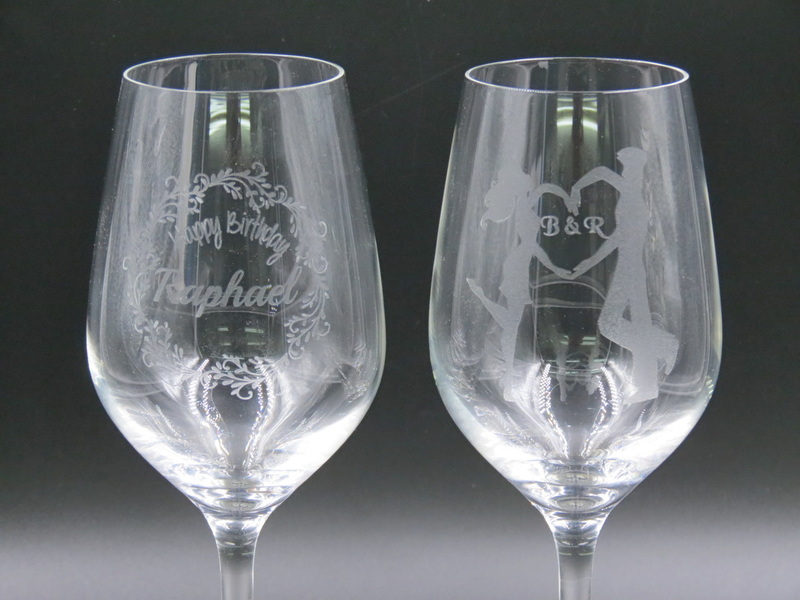 With engraving, the design is permanently carved into the surface. 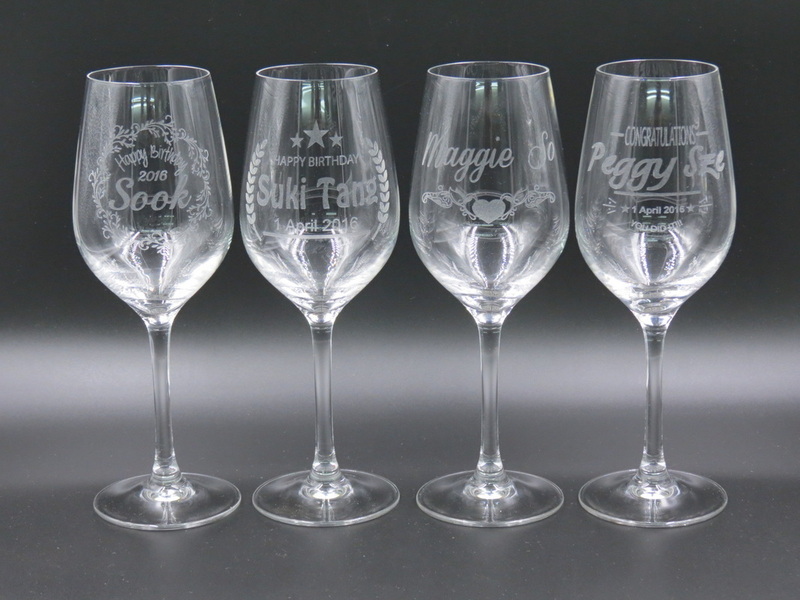 It is a perfect personalized housewarming, wedding, birthday, Christmas or housewarming gift for your favorite wine lover, your parents, a friend or new couple and they'll think of you with every sip!